You can browse the items with your mouse to discover additional information and even a small film. Cloth: Each model is mounted in cloth in order to perform a rendering analysis and to develop the pattern. Film realized by our studio. Prototype: The model is mounted in the final fabric to try rendering and fell, some changes can still be made. 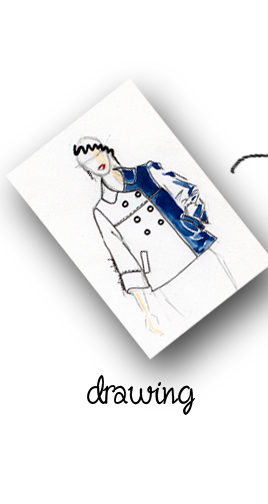 Drawing: the drawings of the models to be developed are provided by the client or created by the design office according to the specifications. Development of the technical file (industrialization). Digitized pattern: The final pattern is digitized for transmission and industrialization. 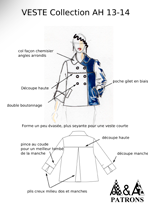 Grading - Marker: The pattern is graded according to a table of evolution developed in the design office from measurements IFTH (French Institute of Textiles and Clothing) and style of the model. 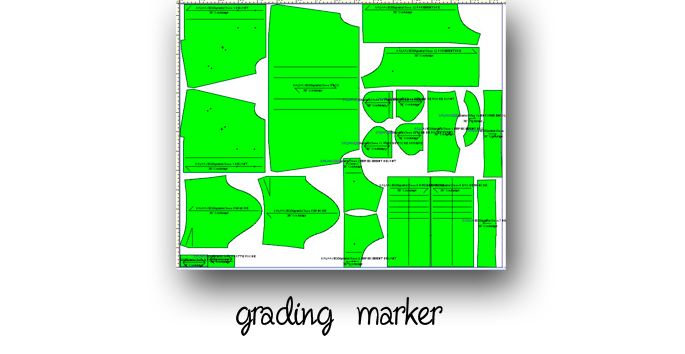 After mounting intermediate sizes (collections for exhibitions or agents) in the contract manufacturer for verification, all pattern computerized and optimized markers on fabrics for production are developed. Ability to send by email these markers to subcontractors. 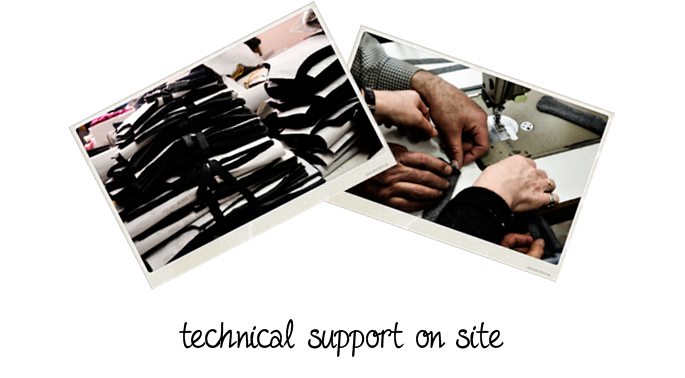 On-site technical support: Production monitoring, contract manufacturer's work quality control, even abroad. 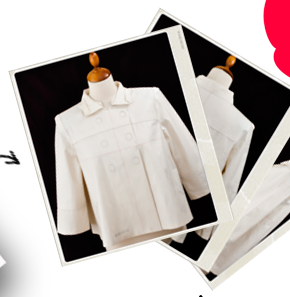 See also our blog post: The pattern maker job.